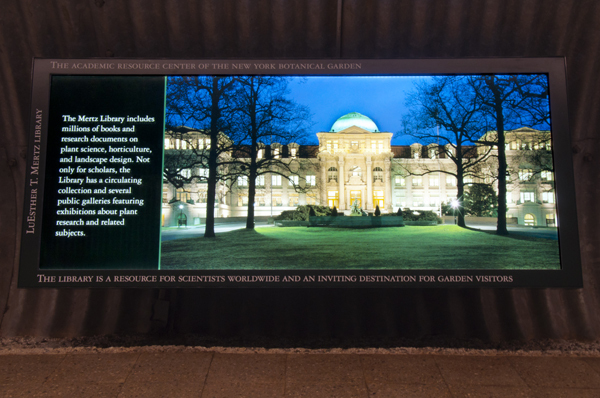 The firm was recently tasked to enliven a subterranean passageway at New York Botanical Garden in the Bronx. 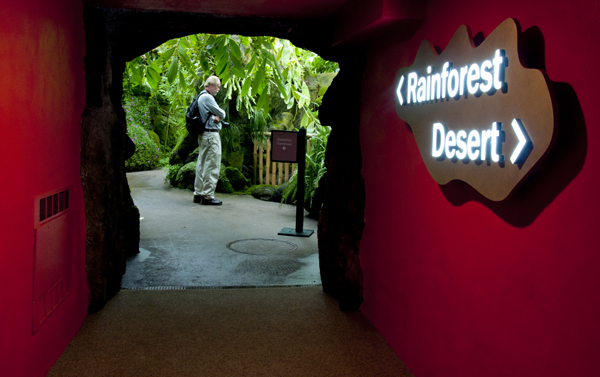 Connecting exhibitions on Desert Flora with the Garden's simulated tropical rainforest environments, the permanent exhibition examines six of the Garden's senior botanists and their work around the globe. As a conduit between two radically different simulated climates, the passageway is dim, long and durable by design, in order to accommodate the competing temperature and humidity levels. The firm devised a solution of powerful LED-driven light-boxes to bring rich color into the space. 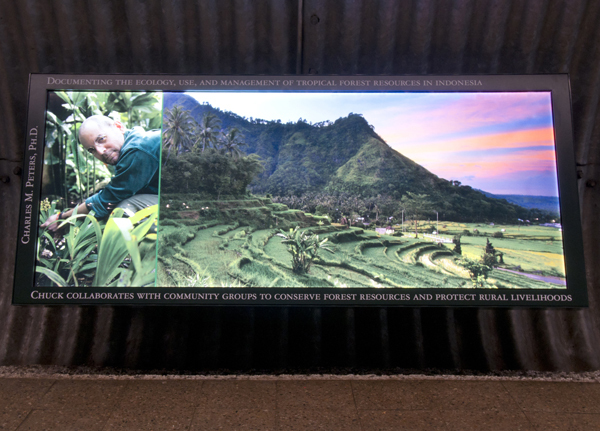 With their simple construction in the Garden's branded colors, the light-boxes fuse portraits of the Garden's eminent botanists with sweeping panoramic views of their far-flung regions of study, along with personal statements about their research and their respective philosophies. Other panels focus on the Garden's tremendous research holdings, while communicating the importance of plants and plant science to younger visitors. 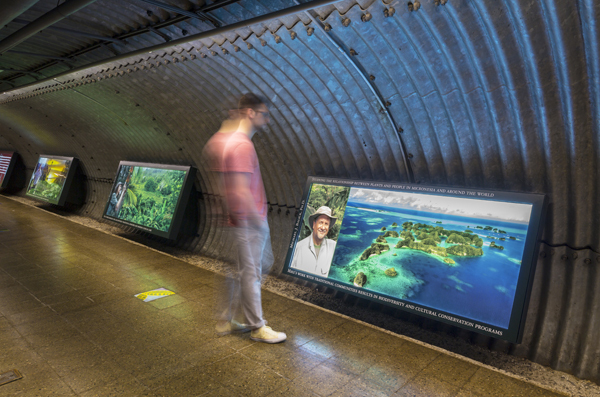 Most importantly, visitors leave the passageway with a greater understanding of the science behind the spectacular displays of plant-life from around the world.